Open house on Sunday, October 21, 2018, 1-4 p.m. Like new RANCH home that has never been lived in! It has every upgrade imaginable compared to rest on the market! 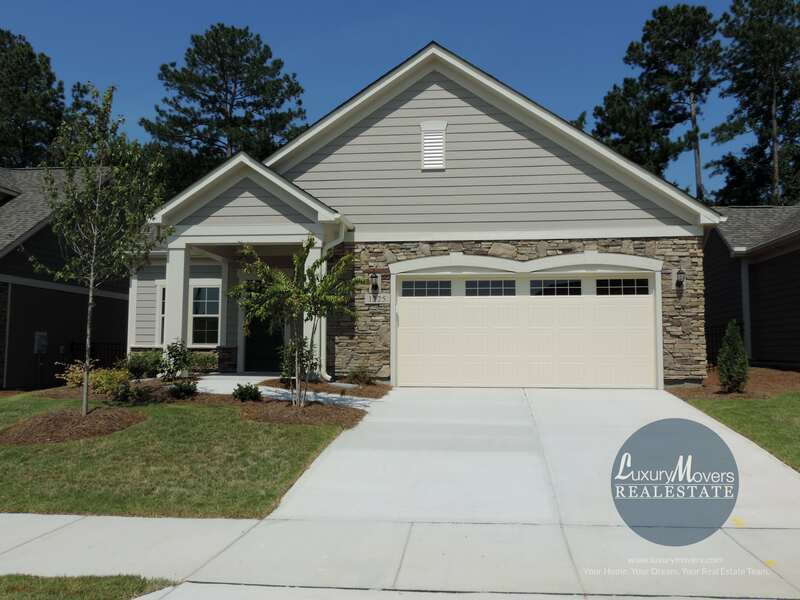 Located in the desirable Courtyards at Heritage Grove in Wake Forest! Gourmet kitchen with two ovens, white cabinets, quartz countertops and a gas range. Open floor plan, fireplace, and lots of natural light! HOA includes yard/exterior maintenance, clubhouse, pool and more. Have more time to relax and enjoy living the good life – perfect for entertaining. Seller will entertain all reasonable offers! More pictures and information about this gorgeous home can be found on the MLS sheet for 1225 Provision Place, Wake Forest NC. Visit our agent on Sunday, October 21st, 1-4 p.m. , or contact us to request more information or schedule a private tour at info@luxurymovers.com or 919-424-1867!